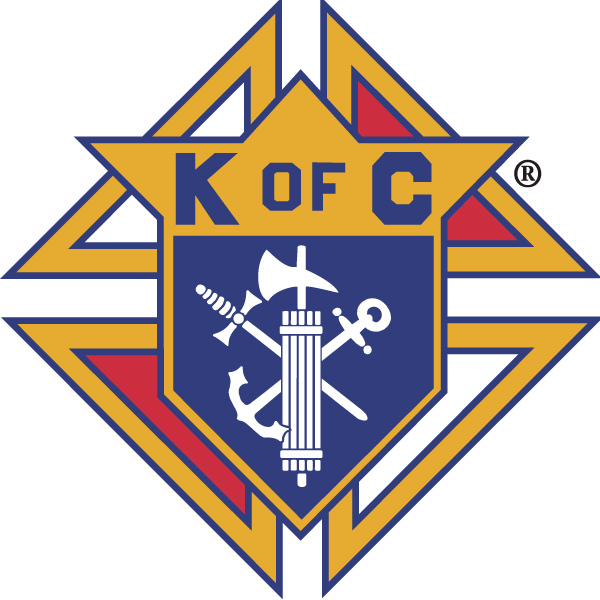 The Knights of Columbus is a Catholic organization for men who are committed to the principles of Charity, Unity, Fraternity and Patriotism. Founded in 1887 by Father Michael J. McGivney to help provide financial aid to Catholic families, the Knights of Columbus resulted in the largest Catholic fraternal and humanitarian organization ever created. Who we are: We are men of faith at St. Thomas the Apostle Parish, who believe that a man is defined by his actions as a follower of God, and as a leader in his community. We’d like to invite you to join the new Saint Thomas the Apostle Council. Being a Knight is more than camaraderie; it is being involved in the community; it is supporting the Catholic Church, while enhancing your faith. sponsoring and supporting a variety of parish functions such as the annual Parish picnic, youth and family focused ministries and events, etc. supporting religious outreach, promoting vocations, and providing financial support for seminarians and postulates. providing assistance and support to Knights and their families whenever needed. Our charitable activities encompass an almost infinite variety of local, national and international projects. Time Commitment: Just 24 hours, but they can change your life. Requirements: All practicing Catholic men 18 years of age or older are invited to join. 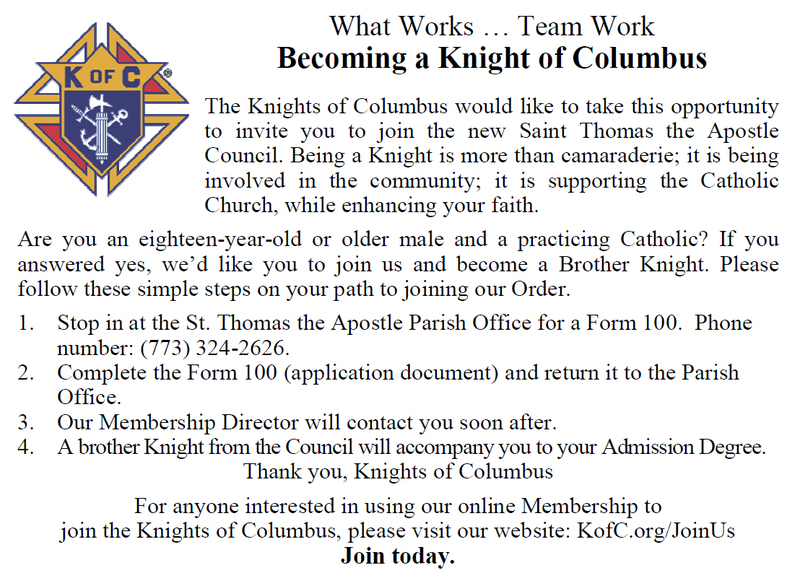 Contact: For more information on how you can become a Knight contact Parish Office at (773) 324-2626. “There is a call within each man to go deeper and reach higher to become the man God made him to be.